The Terminal 2 of the Mumbai Airport was envisaged to synchronise all international and domestic air travel from one terminal. Opened in January, 2014, Terminal 2 has been handling all International Flights with Domestic Flights too slowly shifting to this Terminal. The vision was to reduce the hassles of a common air traveller. 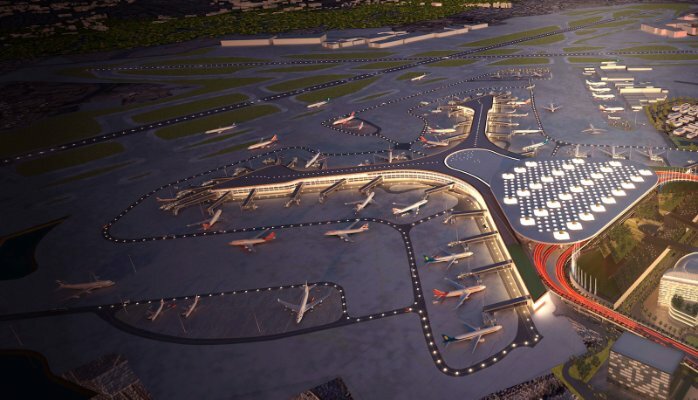 The project for a feasibility study of this new terminal was given to Conserve Consultants. Mandatory requirements of the LEED Certification for a large magnitude built space of 9.5 million sqft was difficult to meet. Meeting mandatory energy compliance was the major challenge. To publish the results of the simulation within 6 weeks, a special team was formed. Performance gaps and bottlenecks in the project were identified and shared with the project team which reworked the design and the simulation of the redesigned structure was undertaken.